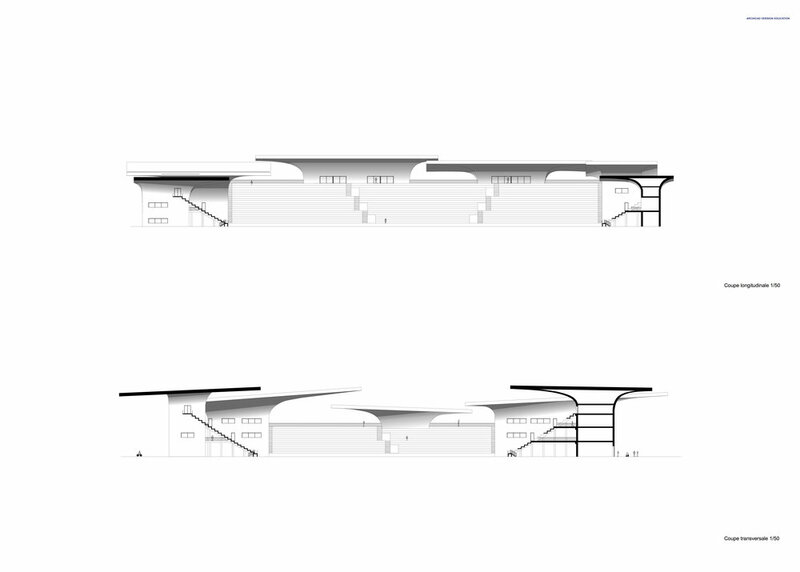 In order to integrate into the urban fabric, the structure of the Tuilière stadium is presented as an assembly of several elements. These dialogue with each other in a play of mushroom-shaped cantilevered roofs overlapping one another. The overall shape of the roofs was determined according to accessibility—to the bus terminal, the future metro m3, and pedestrian paths—inviting visitors to enjoy the covered public space. An equivalence is found in the relationship between public/private and outside/inside. Date: December 2016. 2016 © Charles Jenny, all rights reserved.